The Panama Papers are all over the news, but what’s the hoopla all about? Too boring to care, right? I can already see your eyes glazing over. But listen up, and do your Panama Papers homework. Because according to USA Today, of the 500 corporations in the S.&P. 500-stock index, many were both profitable in 2015 and paid NO income tax globally. No wonder they were profitable. 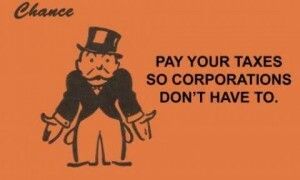 So let’s talk a little bit about entitled corporations. An Oxfam study released today, states that for each dollar America’s 50 largest companies paid in federal taxes between 2008 and 2014, they received $27 back in federal loans, loan guarantees, and bailouts. The Oxfam report goes on to say that each $1 that these same companies spent on LOBBYING was associated with $130 in tax breaks. I don’t know about you, but I could have definitely used a couple of those incentives while preparing my taxes due tomorrow. The bottom line? While the share of corporation taxation in federal revenue has declined since 1953 from 32% to 11%, the portion coming from payroll taxes (that’s you and me, folks) has climbed. 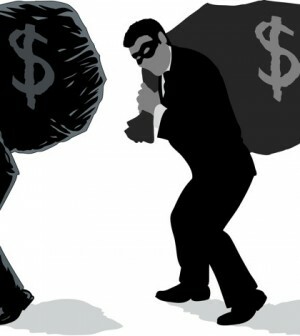 According to The New York Times, tax dodging by major corporations costs the U.S. Treasury up to 111 billion dollars a year! Yes, you’re reading the figure correctly, and I’ll say it again for good measure. If the Corporate Tax Code weren’t rigged, the U.S. Treasury would add an extra $111 billion a year to its coffers annually. It has been reported that the total cost to prevent lead poisoning in tens of thousands of children annually would cost approximately $2 billion, and another $2 billion or so could end family homelessness. Think of all the other ways the U.S. could use that $111 billion annually as you maneuver through your due dates, deadlines, and extensions this tax season.